Do you need a water tank in Palmerston North or the Manawatu region? Providing a reliable water tank supply, service and other related work, you have found the team to get in touch with for all water tank management in Palmerston North, Manawatu. If you want a team you can trust for consistent services then get in touch with the experts in water tanks in Palmerston North. 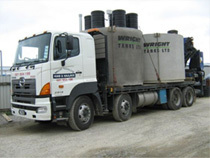 Wherever you live in the Manawatu region, from Marton, Levin, Whakarongo, Fielding to Ashurst, Foxton, Shannon there are water tank services in Palmerston North just a quick phone call away. For all your water tanks in Palmerston North and the wider Manawatu region, there is one team you can rely on. Call us on 0800 253 273 today! 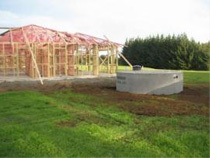 Need a water tank and installation in Palmerston North? Simply call us on 0800 253 273 or fill out the form below with your water tank enquiry and we’ll get back to you as soon as we can. © Water Tanks Palmerston North 2014, All rights reserved.